Research in the Meyer Group is a collaborative effort that involves faculty, graduate students and undergraduates. We actively seek collaborations with other research groups and work to address fundamental questions in polymer chemistry and materials science. Bio: Tara Y. Meyer received her B.A. from Grinnell College in 1991 and her Ph.D. from the University of Iowa in 1991. Her doctoral thesis, under the supervision of Prof. Louis Messerle, focused on the reactivity of early transition metal acyl complexes. She carried out postdoctoral work at both the University of Iowa (1991-2) under the supervision of Prof. Richard F. Jordan and at the University of California, Berkeley (1992-4) under the joint supervision of Prof. Robert G. Bergman and Bruce M. Novak. Dr. Meyer joined the faculty at the University of Pittsburgh, Department of Chemistry in 1994 and is a member of the McGowan Institute for Regenerative Medicine. Her work has been recognized by both CAREER and Sloan Foundation Awards and a sabbatical stay at MIT (2003) was supported by an NIH Ruth L. Kirschstein National Research Service Award. Dr. Meyer’s research focuses on synthesis and structure/function studies on repeating sequence copolymers and on the design of stimuli responsive materials. Quantification of the Effects on Properties Common Linkers and Additives Have in Sequenced Polyesters. Preparation of Peptide-Mimic Polyesters for Use in Sequence-Specific Drug Encapsulation. 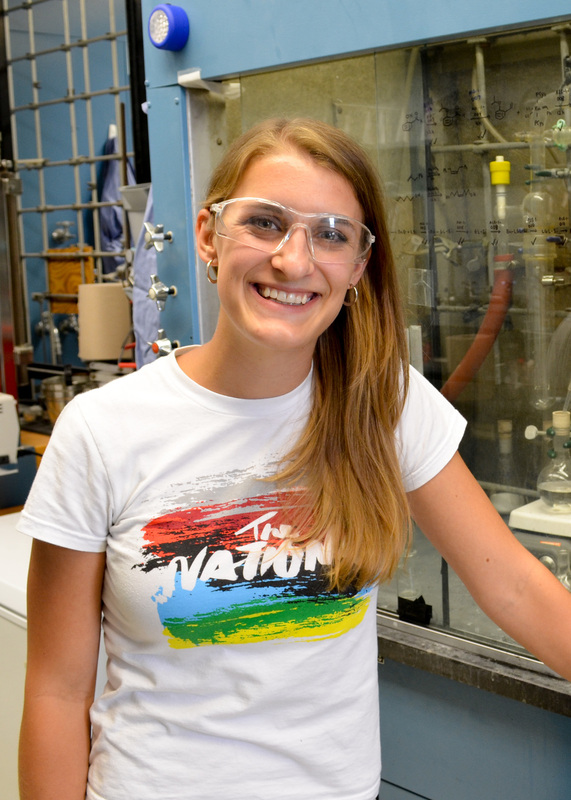 Bio: I began research as an undergraduate under the supervision of Dr. Emily Pentzer, working with polymers and conjugated small molecules for use in organic electronic devices. In the Meyer Group, I have focused on the synthesis of sequenced polyesters for multiple applications, with the long-term goal of understanding how sequence can impact drug encapsulation and delivery in polymeric drug delivery vehicles. 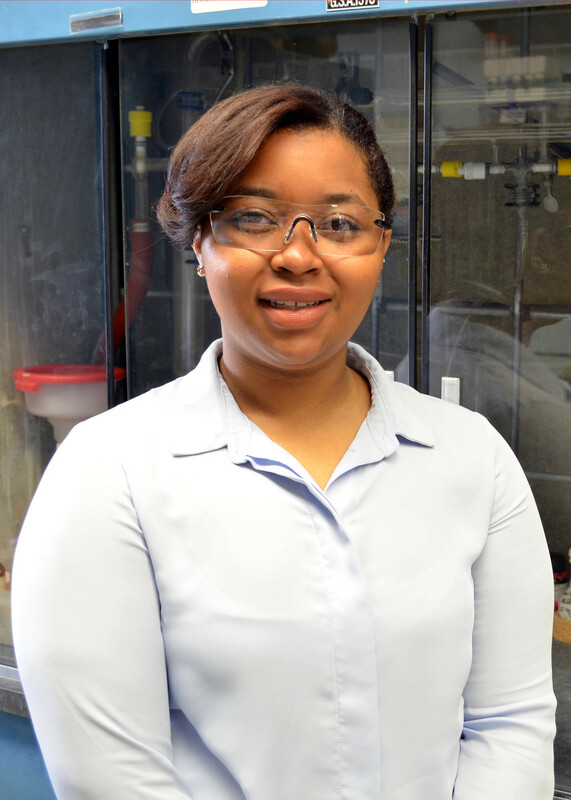 Bio: During my undergraduate research I worked on making stimuli-responsive nanoparticles coated with antibody-polymer conjugates for the enhanced detection of cancer and it was then that I discovered my love of polymers. I joined the Meyer group to work more with the unique tunable properties of polymers. I am currently studying and developing soft electroadhesive materials in a way that has never been done outside of this group. I love chemistry because I can read and learn the answer to any question about our world that has already been asked, and I have the skills and tools to discover the answer to any question that has never been asked. Bio: At Lock Haven, I was lucky enough to participate in a partnership with Penn State University to receive an associates degree in nanoscience along with my bachelors in chemistry. My undergraduate research focused on the synthesis of zinc oxide nanowires via chemical vapor deposition, and this experience inspired my choice of internships at the Department of Energy's Ames National Lab, where I researched the effectiveness of mesoporous nanoparticle catalysts. I applied to grad schools knowing I wanted to continue research in materials chemistry, and life in the polymer world has been a dream for me so far. Synthesis and characterization of polymers with sequenced side chains for applications involving dielectric materials. Bio: I began conducting research while working for Milliken and Company, where I synthesized small molecules as additives to improve various polymers’ properties, e.g. toughness or permeability. My work with the Meyer and Hutchison groups allows me to conduct organic and polymer synthesis, and characterize the electrical properties of these polymers. The goal of my project is to understand how the sequence of polymer side chains affects the dielectric constant of the polymer. Properties of Semi-Sequenced Step-Growth Polymers: Synthesis, Characterization, Modeling. Bio: As an undergraduate, I worked in Dr. Geoffrey Hutchison’s lab developing models for the statistical prediction of conjugated polymer molecular orbital energies using quantum mechanical data. In the Meyer Group, my project involves controlling and quantifying the long-range sequence fidelity of step-growth polymers. We synthesize semi-sequenced polymers by making unique oligomers in parallel and successively coupling them. My goal is to use characterization data to quantify sequence patterns in our oligomers and polymers, model these sequence patterns using computational methods, and use the models to understand the sequence dependent properties of our polymers.